This is a smaller Lysimachia, about a foot high. It is rather hidden by everything around it. 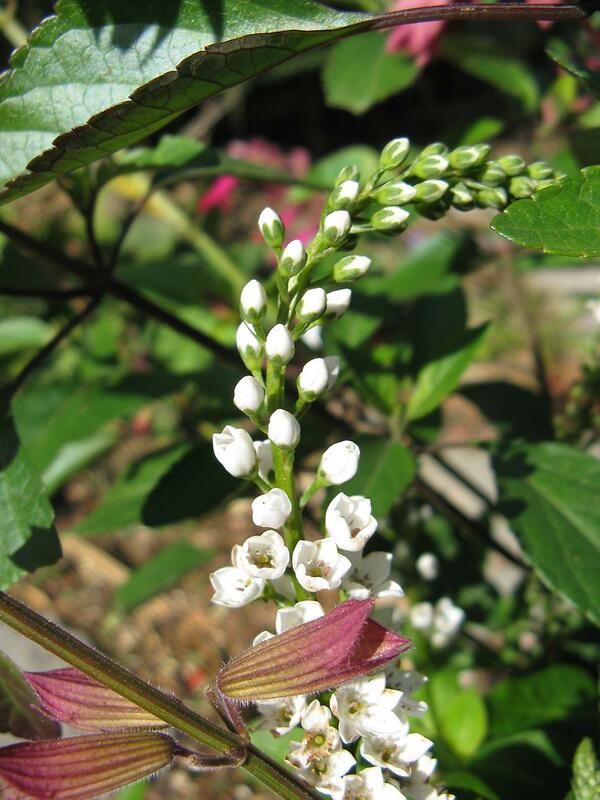 The flowers are white, and they curve a little, somewhat like Lysimachia clethroides.